Visitors touring the Triplehorn Insect Collection are invariably drawn to the biggest, longest, most colorful creatures that we have among our four million specimens. Giant walking sticks, Goliath beetles, white witch moths, and birdwing butterflies are a sure hit with visitors of all ages. One question that usually follows that exhilarating experience is … “Are these from Ohio?” And, unfortunately, we have to say that no, those enormous and colorful insects come from tropical forests in Africa or South America or elsewhere. That is not to say, though, that there aren’t plenty of interesting and very striking insects in Ohio. In fact, there are plenty of cool insects right in our own backyards, many of them still poorly known or even completely unknown to science. Here are just a few examples of the insect fauna that I found in my urban backyard in the past few weeks. During Spring, carpenter bees and bumble bees are very busy building their nests and collecting pollen. Well, that’s true of the female bees, anyway. The male carpenter bees are far too worried about patrolling their territory and checking out everything that comes along, all in the hope of finding a female that might be susceptible to their charms. Not to worry: the males are harmless, and you’d practically have to grab hold of a female before she would think of stinging. Under a clay pot that was left leaning against a wall, a queen bumble bee has dug a hole into the soil where she’s starting her own colony. The same sort of gardening accessories are also great places for spiders to build their webs and for insects to hide away their eggs from predators. I was not fast enough to snap a photo of the bumble bee entering the nest. But trust me, she’s there! A mud-nesting solitary wasp found the perfect place to build her nest among the wrinkles of a deteriorating plastic cover on an old outdoor fireplace in our yard. This might be a mud dauber or perhaps a potter wasp nest. Either way, the mother wasp builds the nest using soft mud, then goes hunting for caterpillars or other insects. The prey – stung into a state of suspended animation – is stuffed into the nest accompanied by a single wasp egg. The larva that later hatches will feed on the living prey and develop into a new flying adult wasp. Solitary bee nest in the shape of a tube. The female wasp builds the next with soft clay. The fragile nest broke in two when I moved the plastic. The most exciting finds for me are insect eggs. Sometimes the eggs are parasitized and produce the little wasps that are my object of study. Here on our screen door I found the eggs of an assassin bug. Each egg is like a small piece of art in itself each with a beautiful ornate crown. I’ve been watching carefully to see if assassin bug nymphs will emerge or if the eggs will produce any of my parasitic wasps. When I rolled over a log, I found a number of Lasius interjectus. These bright yellow ants are commonly called “citronella ants.” If you disturb them, they respond by releasing a bouquet of repellent chemicals that smell like lemon or the citronella candles used to repel mosquitoes. These ants are farmers: they maintain underground “herds” of aphids or mealybugs. These “cows” feed on the fluids in plant roots and excrete a sweet honeydew that the ants love. A small log resting over a bed of leaf litter holds a surprise: a colony of ants! Citronella ants under a log in the backyard. Here’s a quick video of the citronella ants. They are very cute! I love looking for insects on, in, and under dead trees. Recently I found quite a number of very slick and shiny beetle larvae beneath the bark of a large dead tree near our house. I actually don’t know what kind of beetles they are, but I am hoping my buddies who study beetles will be able to identify them. And who knows, maybe I found something entirely new?! Small patch of trees and shrubs in our neighborhood. Rotting log & leaf litter, perfect habitat for many insects. Close-up of the log, with bark poke-marked by insect burrows. Multiple beetle larvae found under the bark of a rotting log. Close up of one of the beetle larvae found under the bark of a rotting log. Close-up of a smaller beetle larva found under the bark of a rotting log. When disturbed the larvae move deeper into the soft wood. I have more photos and videos of local insects, but I’ll stop here for now. Yes, I know, the local bugs are not massive and showy like the amazing things that come from tropical rain forests, but pay close attention and you will find that they are just as fascinating. And best of all, they are right here in our backyard! Insects are everywhere. The more we learn about them the more we see how absolutely fascinating, beautiful, and important they are. A final note: Monday, May 22, is the International Day for Biological Diversity. People all over the world and here in Ohio will be celebrating the day with the goal of increasing understanding and awareness about biodiversity, and to have a good time observing nature. What a great opportunity to connect with fellow bug explorers and to promote the insect biodiversity that is right around us! Post your discoveries, photos, and musings about Ohio insects on social media. Use the hash tag #OhioBugs so we can keep in touch. 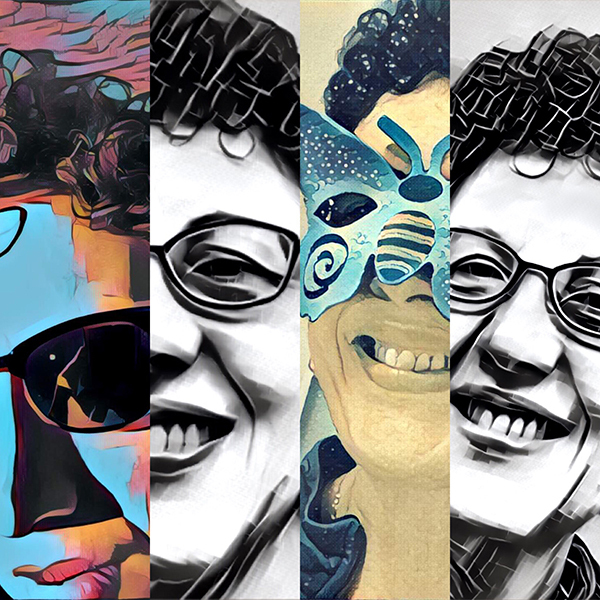 About the Author: Dr. Luciana Musetti is an Entomologist and the current Curator of the Triplehorn Insect Collection at The Ohio State University. Posted by OSUC Curator at 7:00am May 14, 2017 Posted in Biodiversity, Education, Local Fauna and tagged adventure, arthropods, backyard, bugs, explorer, insects, nature. Bookmark the permalink. Wow, this wonderful! post popped up just as I was leaving my session at the computer. It is packed with fabulous and fun information! It may take me a while to digest all of this. Of course you didn’t have space to mention the other small invertebrates that join the communities of tiny critters hidden away in each of our backyards. For example my yard list for spiders alone stands at 173 species. Thank you for introducing us to the sometimes hidden wonders in our Ohio backyards! Thank you for the kind comments, Rich! And you are absolutely correct, there are multitudes of arthropods all around us. My backyard is a great habitat for spiders. There are so many different kinds! I usually don’t collect them, but if you are interested I can start taking photos of them as well.